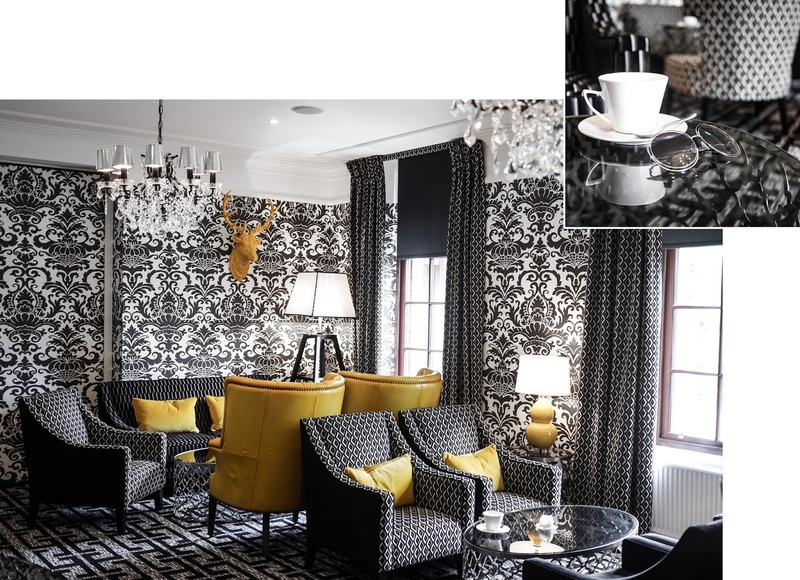 A Perfect Pamper Spa Trip In Scotland // Chic Sleeps | Almost Chic. It's no secret that I love a spa day! And although I have a penchant for exotic ones, I'm always delighted to find a fabulous spa right here in Scotland. My most recent Scottish spa discovery? The Gleddoch Hotel & Spa. I mean it has an outdoor hot tub with an incredible view - do I even need to say anything else?! Last weekend Chantelle (from The Girl In the Tartan Scarf), Tatyana from (LAFOTKA.com) and I escaped the city for an afternoon of relaxation and pampering in The Gleddoch's newly refurbished spa and an evening of gin, giggles and delicious food in the hotel itself. The perfect girl's trip! 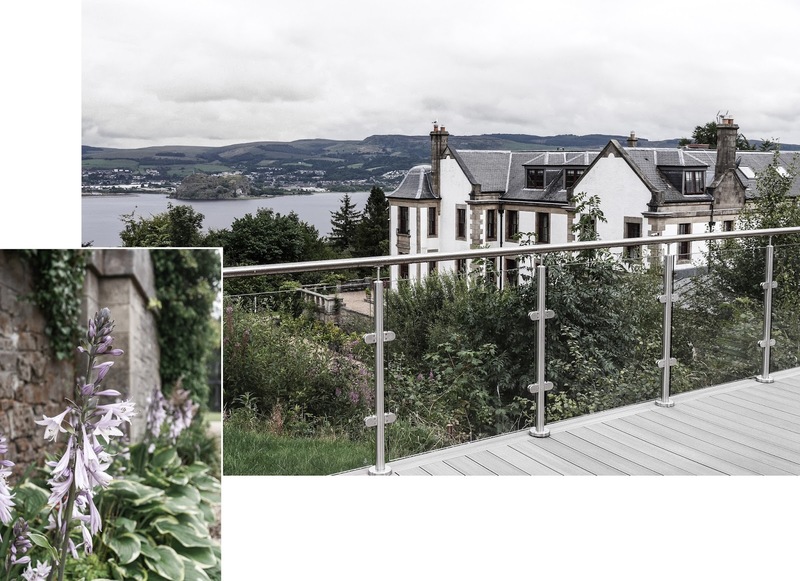 This stunning 4 star country house hotel is just a 20 - 30 minute drive out of Glasgow and has gorgeous view's of The Clyde Estuary. 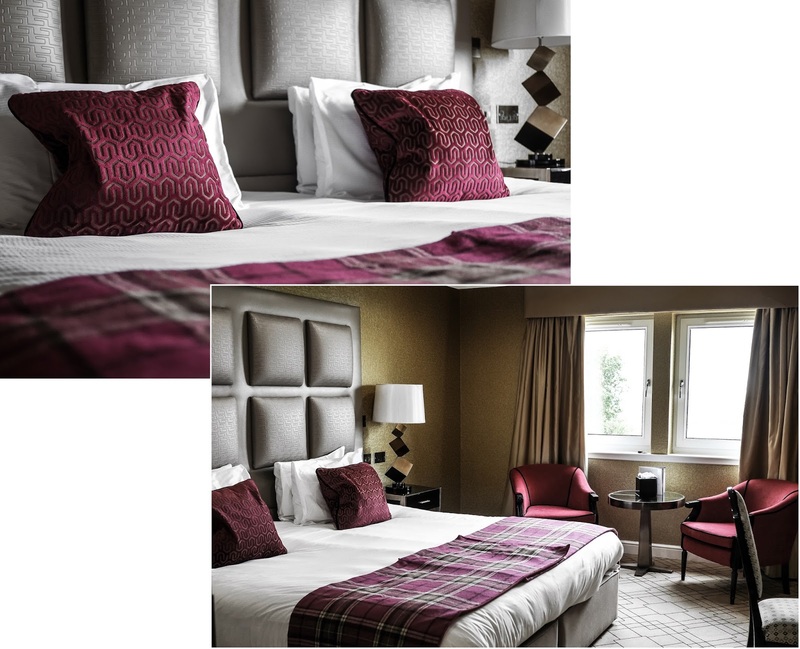 If you're planing on staying the night I'd recommend requesting a Clyde view, executive suite like we all stayed in. It was spacious, comfy and cosy featuring a cloud like super-king size bed and most importantly the view was to die for! Plus those adorable hot pink armchairs made the perfect spot for a few pre-dinner proseccos and chats with the girls. The decor in the hotel is quirky, modern and fun whilst still complimenting the castle-esque exterior! Our favourite room was the Camellia room (seen below), just off reception. It's a perfect quiet area for chilling out with a coffee or getting those important emails out of the way so you can enjoy the rest of your stay in peace (yes the hotel has fast, free wifi so you won't be completely cut off from the rest of the world - unless you choose to be of course!). On to the main event - the spa portion of our trip! None of us really knew what to expect from the Gleddoch's spa, having not heard a whole lot about it before its big refurbishment. I think I can safely say that all of us were more than pleasantly surprised by how slick and modern it was! Everything was cleanly decorated and all the greyed wood was right up my street. It has everything you need for the perfect spa day - a heated indoor swimming pool, indoor jacuzzi, sauna and steam room. There are two definite highlights though! Firstly the light and airy conservatory with heated stone beds which again made the most of that killer view. And of course that outdoor hot tub which I could have whiled away so many more hours in. Even on a drizzly Scottish day this was so relaxing and luxurious. Since guests at the hotel have unlimited use of these facilities we couldn't resist rushing down to the spa the next morning, before breakfast, for another soak in this sumptuous tub! The most blissful hangover cure to date! If you need any more convincing to check out the spa at The Gleddoch - the promise of an insane back massage should do it! All of us booked in for one while we were there and it was the best decision we could have made. I have real issues with a very knotty back, probably due to the amount of time I spend hunched over a laptop these days, and struggle to find a massage therapist in Scotland who can even begin to tackle the problem. Until I discovered Ashleigh at The Gleddoch. It was one of the best massages I've had in ages. She really got in there, elbows and all, with the firm pressure I asked for. I could feel so many knots releasing and I had so much more movement in my back, particularly my shoulders, when she was done. Could not recommend booking in for a massage here enough. I'll definitely be going back! Chantelle tells me Paula is amazing too, incase Ashleigh is all booked up! All in all I think we had the ultimate luxury pamper trip! Thanks to the lovely staff at Gleddoch for having us and thanks Chantelle and Tatyana for making me giggle so much the entire time that I thought I might actually sprout some abs! If you fancy shoving some facemasks and prosecco in a bag and heading off for a similar trip with your besties - I'd definitely look in to The Gleddoch Hotel. They have some great deals including the full spa day, dinner, bed and breakfast package like we experienced or if you don't fancy staying the night there are lots of amazing spa-only packages. See the full list HERE. Prices range from £35 for a spa half day up to £200 (at the weekend) for the full overnight package. Interested in checking out more swoon worthy spas? You'll love the incredible Seven Colours Spa in Mauritius!